I’ve always hated my dark under eye circles. For me, it’s hereditary, so no matter how much sleep I get, I’ll still have them. That’s why I was determined to find a treatment that would help reduce their appearance, and keep me looking fresh as I continue to age. The first time I had heard about under eye fillers was on one of Nicole Guerrero’s vlogs. Before that I didn’t even know it was a thing. Nicole’s under eye circles were nowhere near as bad as mine so I personally didn’t notice much of a difference on her, but as I continued to do the research I realized just how much of a change they could give a person. The whole idea behind under eye, or tear trough fillers is to reduce the appearance of dark under eye circles (shadows) by using injectable fillers. Under eye circles are a result of venous congestion, and injectable fillers work to raise the skin in that area from the underlying vascular bed, making them appear less shadowy. Before going in to this I really wanted to make sure any treatment I received would still look natural – I still wanted to look like myself. My sister recommended her dermatologist, Dr. Lisa Kellett at DLK on Avenue here in Toronto. Dr. Kellett and her team are some of Toronto’s best so I definitely felt safe in their hands. I went for a consultation with the registered nurse Diana Phillips and well, the rest is history. Just kidding, let me explain the process. I met with Diana who walked me through the treatment and ultimately determined if I was a candidate. I also met with Dr. Kellett to make sure I got the green light. The procedure itself takes place in the clinic, where an gel-like substance (Redensity II) is injected into the skin. The whole procedure probably took about 30 minutes. First, I was poked with a needle around the apple of my cheek, then Diana took a cannula (which is a thin tube/dull ended needle) and threaded that through my skin, under my eye to where she would inject the filler. Diana injected a small amount of filler at a time and massaged it in to my under eye area, always checking for symmetry. At once point she even grabbed a cotton swab, which she called her “rolling pin” to make sure everything was smoothed out! After she finished injecting she also hit me up with a few injections of Botox, which was incredibly quick and painless. After the whole thing was said and done, she gave me some ice patches and I was on my way. The filler has a little bit of freezing in it, so once I got home I felt a little bit numb under my eyes, and it wasn’t until about 3 days after that I started feeling the effects of the botox, which was probably the weirdest sensation – a kind of ‘heavy’ forehead feeling. Honestly I think I was way more panicked about the entire procedure than I should have been. Diana was SO accommodating and patient with me even when I had a vasovagal reaction (something that happens when I get poked with needles). There was basically no pain with the entire procedure and because Diana used a cannula I didn’t even bruise! The next day I had a little bit of swelling, but overall the entire experience was positive and I will definitely be going back once it wears off. Speaking of wearing off, you’re probably wondering what the wear-time is on a thing like this. Well it all depends on your metabolism, but typically fillers will last anywhere from 8-12 months. Since the procedure, I’ve had a few people tell me I look great without realizing I had any work done. But for the most part, no one has really noticed. AND THAT’S A GOOD THING! I notice a difference. A big one. and with some close up before and after pictures, you can probably see it too. But the absolute best part of this is how beautiful and confident I feel. I honestly didn’t know a quick 30-minute procedure could make me feel so good. My only regret is that I waited so long to get this done. I don’t want to sound too preachy, but I would like to thank Diana Phillips, Dr. Lisa Kellett and the whole team over at DLK on Avenue for making me feel like a new woman! 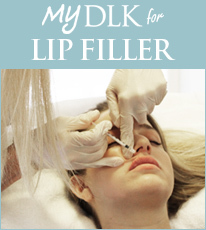 I’ve never felt happier with my looks and I cannot recommend DLK and this procedure enough. If you have any questions about the procedure, DLK, the healing time or my results, feel free to DM me on Instagram. If I can help anyone out there feel as good as I do right now, it’s worth it! 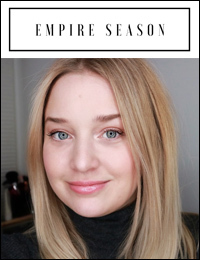 For more from Empire Season please click here.